Politicians and officials in law enforcement in California said a bill would be introduced on Friday in the California legislature that would require all tablets and smartphones sold in the state to be equipped with a kill switch that is digital that would make that device useless if it were stolen. The measure is in response to the increase in thefts of the portable electronic devices, which often takes place at gun or knifepoint. Already 50% of the robberies in the city of San Francisco and 75% of those in neighboring Oakland involve a form of mobile device. That number is on the increase in Los Angeles according to the latest figures from police. The trend is taking place in many major cities throughout the United States. The bill in California, if passed, could usher in the use of kill switch technology countrywide if phone manufacturers choose not to make custom electronics devices just for the state of California. The Senate bill no. 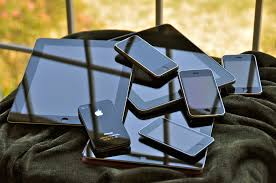 962 says that all tablet PCs and smartphones sold starting on January 1, 2015 should be outfitted with a technological solution that could render the features of that device inoperable when the rightful owner is not in possession of said device. The bill does not specify the type of kill switch technology. Phone makers or carriers would be able to design the system they desire in hardware, software or a combination of the two, but once it is activated, it has to prevent calls from being made, access to Internet and the ability to use apps. The technology would need to be resistant to hard reset, attempts that return the system to its factory conditions or through a downgrade in the devices operating system. User should be able to deactivate the technology if they do not want to use it, but retailers would not be able to offer such a form of service. The bill also proposes that retailers would be subject to fines of between $500 and $2,500 for each device that is sold that does not have the new technology. The fines would not target second hand devices or private sellers. Mark Leno a State Senator and George Gascon the District Attorney for San Francisco will formally introduce the legislation on Friday. The measure has the backing of the police chiefs and mayors of Los Angeles, Oakland and San Francisco.